Using an immersion blender, quickly blend part of the soup for a quick second or two. 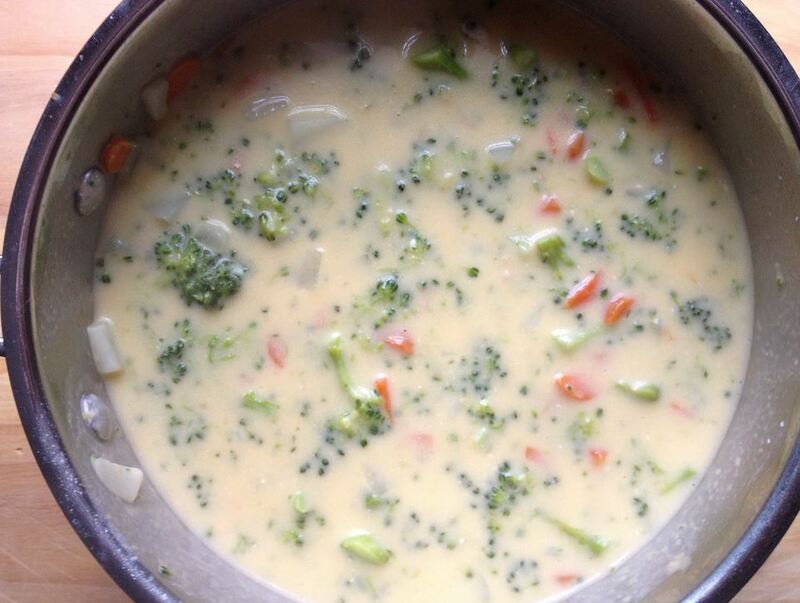 If you don’t have an immersion blender, remove about 1-2 cups of potatoes and broccoli, place it in your chopper, then add it back to the soup. This helps thicken it a bit.